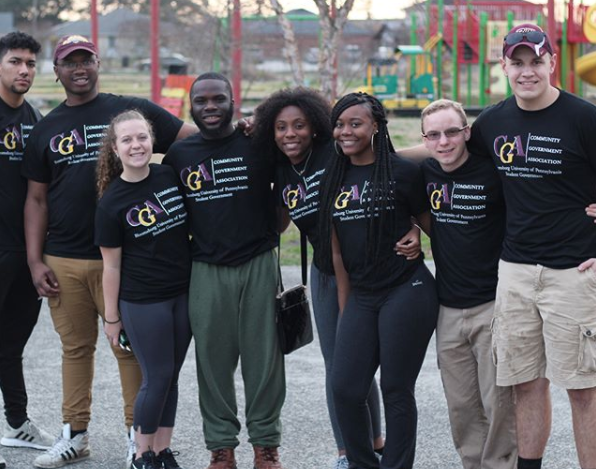 CGA also provides guidelines for administering the affairs, activities, concerns, general well-being of students under the Bloomsburg University jurisdiction and seeks to establish working relationships and open lines of communication with administration, faculty and staff.Above all, CGA encourages diversity in all its efforts and seeks to encourage all constituents to become involved in the governance process. Senate - Fall 2018 Student senate meetings begin at 4:30 PM and are open to the campus community. Week of: 11/19-21/18 (Thanksgiving) There will be no official check run (Husky/CA budget). Any emergency check paperwork, will need to be submitted by 11/19/18 NOON (to be disbursed 11/21/18). First check run for 2019 1/11/19 (Husky/CA budget). Any emergency check paperwork, will need to be submitted by 1/2/19 NOON (to be disbursed 1/4/19). Senate - Spring 2019 Student senate meetings begin at 4:30 PM and are open to the campus community. Campus Lawyer - Spring 2019 Wednesdays from 4-6 PM (as indicated below). The Big Event- Spring 2019 Students - To register for the 2019 Big Event, CLICK HERE! Credit Card Processing for CA Fiscal Year 18-19 – Husky/CA Budget/CA Office No credit card transactions processed 5/24-31/19. Last date for PO requests for CA Fiscal Year 18-19 – Husky/CA Budget 5/3/19 - Items ordered must be rec'd NO LATER than 5/13/19 and approved invoices submitted by 5/14/19 by NOON.